First time commercial tenants almost always underestimate the sheer complexity of your typical NYC commercial lease agreement. Instead of 6 pages for a residential lease, you might be looking at a document that’s 65 pages in length. 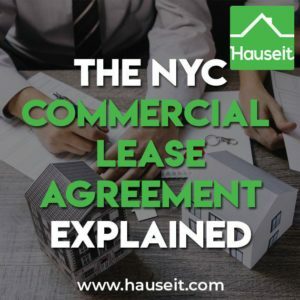 Don’t worry, we’ll go over every aspect of the commercial lease agreement in this tutorial and provide insider tips that both landlords and tenants can use. A worthwhile read even for real estate professionals who have done a deal or two in commercial real estate! Generally speaking, a commercial rental agreement will either be a gross lease or a net lease. A Gross lease is otherwise known as a fully serviced lease and everything besides the monthly rent is paid by the landlord. This includes everything from the property taxes, property insurance, maintenance and upkeep. Even toilet paper would be replaced by the landlord. There aren’t a lot of gross lease buildings in NYC and if you see one, it’ll likely be catered towards smaller tenants paying a higher price per square foot (PPSF) cost. There are a few different types of net leases. The single net lease was the most traditional type of lease before the co-working space revolution. In a single net lease situation, the tenant pays the property taxes. The first year’s property taxes are incorporated into the gross rent; however, the tenant is responsible for their pro rata share of any future increases in property taxes. The tenant would also be responsible for their own expenses. Common area maintenance (CAM) charges and property insurance are still paid by the landlord. A double net lease is very rare to see in New York City. In a double net lease, the tenant pays the rent, the property taxes and the property insurance premiums. The landlord would still be responsible for maintaining the building and paying the CAM charges. A triple net lease is the most landlord friendly of commercial lease agreements. That’s because all costs of occupancy are passed onto the tenant and the landlord can simply sit back, relax and collect rent. This means the tenant is responsible for paying the rent, the property taxes, the property insurance premiums plus the CAM charges and any associated repairs or maintenance. Tenants signing a triple net lease should check whether major appliances have a warranty or whether the lease has a provision regarding the cost of fixing appliances such as HVAC units. Otherwise, anything that breaks down would be taken care of at the tenant’s own expense. Note: It’s quite common to see triple net leases for the bars and restaurants on ground floor commercial units of small, mixed use buildings in the East Village or West Village of Manhattan. Even though they’re not using the entire space which is otherwise residential, these commercial tenants are typically required to pay for the electric of the entire building! A hybrid lease type that is gaining popularity these days is the modified gross lease. In a modified gross lease, the landlord pays the property taxes, property insurance premiums and CAM charges. However, the tenant is responsible for paying their own expenses. Note: In order to let prospective commercial tenants envision how they will use a space, most landlords will return a space to “vanilla box” or “white box” condition. This means they’ll remove everything and have the walls painted white so it’s a clean slate for the new tenant. It’s important to understand that commercial tenants lack the same statutory protections that residential tenants automatically have. For example, there are no Duty to Mitigate, Warranty of Habitability or automatic Subleasing and Assigning rights for commercial tenants. Duty to Mitigate – If a tenant defaults, the landlord has no duty to re-lease the property to mitigate the landlord’s damages. Warranty of Habitability – Unlike in residential, there are no statutory requirements that a commercial space is a safe and clean environment. Tenants typically must accept a property in “as is” condition. Subleasing and Assignment – Unlike in residential, tenants do not have automatic and reasonable rights to sublet or assign a lease. Furthermore, there are no rent controls of any kind in commercial real estate in New York City. Neither do heat laws apply in commercial real estate. Just remember however, everything is negotiable! Pro Tip: The landlord’s attorney will almost always draft the lease and rider. It is generally very rare for commercial tenants to have their own contract rider. With that said, notable exceptions include major tenants or specialized use cases where the tenant may be providing the lease form to be used. A commercial property lease agreement will typically specify a number of years from the commencement date of the lease that the lease will be in effect for. A commercial rental agreement may contain renewal options which we’ll discuss below. Commencement Date vs Effective Date – It’s important to understand that the effective date of any commercial lease agreement can be different from the commencement date. Typically, a commercial rental agreement can be signed on one date, but because of a lengthy build-out or alteration process to customize the space for the incoming tenant, the commencement date can be months later. The commencement date can be synonymous with the rent commencement date. 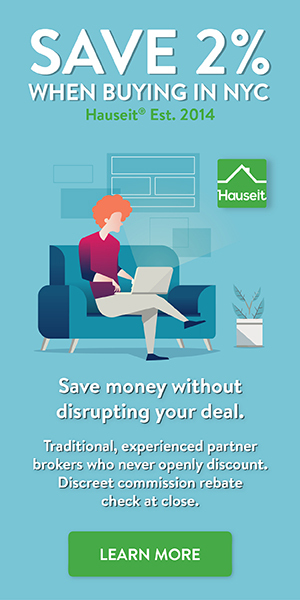 Alternatively, landlords can simply give a few months free to the tenant and have the rent commencement date and effective date be the same. Note: How much work the landlord agrees to do for the tenant typically depends on the lease term. If you’re signing a short three year lease, then you might just get the keys. If you’re signing a longer ten year lease however, the landlord may agree to build out the entire space according to your specifications. Holdover – Commercial lease agreements typically impose stiff penalties if a tenant fails to vacate a property after the lease term has expired. You can see rent increases of 1.5x to 2.0x the original base rent during any holdover period. Depending on the language of the commercial lease agreement, the tenant could be liable for consequential damages, i.e. lost rent from the next tenant. Consequential damages can be significant if the next tenant cancels the lease because the holdover tenant has failed to vacate for too long a period of time. In this situation, the holdover tenant may be liable for the total rent payable by the new tenant who cancelled over the life of the new tenant’s lease. Renewal – Options for renewing a lease are often built into the agreement. Tenants are required to give notice that they want to renew their lease months in advance, often six months or so in advance. If a tenant does not give notice, they forfeit their right to renew per the commercial property lease agreement. Fixed rent during renewal periods can be a specified amount or a fixed percentage increase over a prior year’s amount. A renewal can also be subject to a fair market valuation. Fair Market Valuation – Once an option to renew has been exercised, the landlord and the tenant will attempt to agree on a new base rent. If the parties cannot agree, then each side can hire an appraiser to determine the fair market value. If the appraisers cannot agree, then a third appraiser is appointed either by a court or through a mutual decision. The majority decision of the three appraisers then decides the fair market value. Usually this type of arrangement will have a minimum percentage increase over the prior year’s rent as protection for the landlord. Fixed rent is otherwise known as the base rent which you pay every month. Additional rent is a blanket term for various other payments (i.e. increases in NYC real estate taxes, reimbursements etc.) that you may owe throughout the term of the lease. How Much Will Your Rent Increase? Fixed rent typically increases a fixed amount or fixed percent per year, especially for shorter lease terms up to 5 years. In fact, most commercial leases tend to be around 5 years or so. However, if you have a longer lease of say 5-10 years, then it may make sense to tie your future fixed rent increases to an outside index such as the Consumer Price Index (CPI). A common additional rent item is any increase in real estate taxes if you have a net lease. The tenant will typically owe a pro rata share of any increase in property taxes over the base year, which is typically defined as the year that the lease starts. Tenants will typically not be able to share in the upside of any tax abatements or exemptions unless they shared in the expense of obtaining the abatements or exemptions. Another very common additional rent example are the tenant’s share of the landlord’s operating expenses. These expenses can include common area maintenance and utilities, building employees, insurance, security systems, cleaning services, repairs, alterations, improvements, managing agent fees, legal fees, engineering fees, architect and other professional fees, signage, exterminator fees. Essentially anything that has to do with the repair, maintenance, management and operation of the building could be included. However, it’s important to point out that property taxes and costs of services or work performed for specific tenants, including the cost of enforcing any specific leases, are typically excluded. The tenant will pay a proportional share of the landlord’s building expenses. Any increases are measured relative to a specified base year. Additional examples of additional rent include late fees and interest charges, legal fees, utilities and gross income rent or percentage rent. The latter is typically referred to as profit sharing. Tenants who negotiate this into their lease typically in return for a lower base rent should try to limit the profit sharing to the specific store, and have as many exceptions as possible (i.e. not counting returned goods as revenue). Another example is if the landlord obtained a Certificate of Occupancy on behalf of the tenant. Any associated costs would be billed to the tenant as additional rent. We’ve even seen extreme cases where the commercial lease agreement required the tenant to pay only the landlord for each replacement light-bulb and the work involved to replace it. Pro Tip: It’s important to incorporate a right to audit into your commercial lease agreement. There have been too many instances in the past where landlords received electric at wholesale pricing and marked it up by as much as 100% for the tenants. Tenants will typically have a right of first refusal built into a commercial lease agreement. This means the tenant has the right to purchase or rent additional space if it is made available by the landlord. In fact, the landlord must first offer the additional space to the existing tenant at the same terms that the landlord will offer it to others. Tenants will typically have some period of time to decide before automatically waiving their right to first refusal. Additionally, if the landlord changes the terms of the offer for the new space, the landlord will have to come back and offer the new space under the new terms to the existing tenant first. Unlike residential leases, commercial property owners are not required to deposit tenants’ security deposits in interest bearing accounts. Furthermore, they can and often do co-mingle the security deposit with their other funds. And yes, it’s very likely that your commercial landlord is using your security deposit to fund other operations since the funds are co-mingled. However, security deposits may not be as useful as many landlords think if a commercial tenant goes bankrupt. That’s because a judge will ask for the security deposit and the landlord suddenly becomes a general creditor waiting in line to get their money back. A letter of credit is an alternative that the landlord can draw on in the event of a default by the tenant. A letter of credit is a three way agreement between a bank, the tenant and the landlord. It is more costly to set up but more secure for the landlord in the event of a tenant bankruptcy. Commercial landlords must take additional precautions because evictions of commercial tenants are generally more difficult and can take up to a year! It’s not unusual for landlords to require increased security deposits in proportion to rent increases over the life of the commercial rental agreement. However, if you’re a good tenant and paying your rent then this can often be negotiated away. It’s important to point out that large national chains and brands like CVS and Duane Reade will provide corporate guarantees. As a result, major tenants like this will never have to put up a security deposit. However, this does not apply to franchisees such as individually owned Dunkin’ Donuts. Pro Tip: A “burn through” is a popular tactic for smaller tenants who may not be able to negotiate a smaller security deposit of say 2 months’ rent. This tactic involves a high security deposit at first, but the landlord agreeing to refund back the security deposit via rent credits as time goes on and the tenant proves that they are creditworthy. For example, say a small tenant puts up 5 months of security deposit but will get one month back for each year of continued rent payments until there is only 2 months of security deposit left. Landlords will try to make the permitted use language in the commercial lease as specific as possible. For example, a landlord’s attorney may push for “space may only be used for dermatology clinics” vs “space may be used for medical office purposes.” A tenant will obviously want to push for as broad of a description as possible. Permitted Use language may also contain requirements based on the tenant’s use of the space. For example, if the tenant intends to operate a restaurant where food will be prepared, the lease may require the tenant to maintain an Ansul system or other fire safety measures, grease traps, vermin treatment, restrictions on odors etc. As an interesting side note, it’s interesting how long commercial leases are relative to residential leases. Whereas a typical residential lease agreement might be 6 pages or so, a commercial lease could be 65 pages or so! Pro Tip: Landlords will rarely give a commercial lease for a restaurant to someone who is new to the industry. Landlords would rather give it to a frustrated sous chef who’s finally saved up enough to start their own restaurant. If the tenant has another retail location, you can bet the landlord will make a visit to check out whether you know what you’re doing. Landlords’ attorneys will generally draft the permitted use language to prohibit any other use besides the intended use, whether that use is legal or not. For example, you might see language that says that the space is intended “soley for medical office use and no other purpose.” Furthermore, anything illegal or any illegal use of the space will be strictly prohibited. Uses of the space that would otherwise be allowed under a less restrictive permitted use clause may be prohibited if there is a non-compete provision in another tenant in the building’s lease. For example, a Starbucks Coffee on the ground floor may have a non-compete provision in their lease which restricts any future tenants from selling donuts or coffee. These restrictions do not need to be outright restrictions. They can be more limited in scope. For example, other tenants may not be allowed to cook food on location or their sales from coffees and pastries cannot exceed 5% of their total sales. It’s common to see non-compete provisions like this when you have banks, event planners and even law offices who simply don’t wish to compete with similar businesses in their own building. Note: Specifics can vary depending on which industry the tenant is in. For example, an art gallery tenant may be prohibited from displaying pornographic material or using certain noxious chemicals and paint products. Landlords may require a business to only operate within a certain time period each day, or they may require a business to operate at least a certain amount of time each day. This is called the minimum and maximum operating hours clause. For example, a landlord may not wish a commercial tenant to remain open past a certain time in the evening in order to not disturb neighbors or other tenants (i.e. residential tenants in mixed use buildings have a Warranty of Habitability). They may even have restrictions on people congregating outside the premises, restrictions on noise and restrictions on lines queuing up in front of the building. For example, if the landlord receives two bona fide complaints then the tenant automatically defaults on the lease. A tenant may also be required to maintain the sidewalk in front of the building. Alternatively, the landlord of a shopping mall require a tenant to be open a minimum number of hours, or to be open during a certain period of time per day. That’s because a shopping mall landlord will want stores to be open to attract foot traffic which would be in the best interests of everyone. As an interesting side note, we’ve seen a commercial lease where a Dunkin’ Donuts franchise was required to be open 24 hours a day, 7 days a week. Note: Other common requirements include tenants having to maintain a minimum Department of Health restaurant grade. A build-out is the renovation of a commercial space for a new tenant up to the specifications of the new tenant. Who performs the renovation is negotiable, although landlords will be more willing to do the work for longer lease terms. Regardless of who does the work, there is typically a rent concession period of several months for the build-out to be completed. Depending on how the lease is negotiated, it may be too bad if the alterations take longer than the rent concession period. The landlord may contribute to a build-out via actual payments or credits against future rent payments. This is typically calculated on a per square foot basis. If the landlord will perform the build-out, you should specify what you want. Otherwise you will likely just get the “building standard” which may or may not suit your needs. Tenants typically won’t get additional concessions for delays for any reason other than the landlord’s negligence or failure to act. You typically won’t see a commercial lease where the tenant has a right to cancel because of delays by the landlord for the initial build-out. Let’s say that the landlord has gone totally missing and the build out is delayed because of the landlord’s failure to approve plans or sign permits. Tenants should make sure their commercial lease agreement sets a specific time period for the landlord to perform these tasks, otherwise the free rent period should be extended day by day. This is generally also true if the new tenant is unable to take possession because of a holdover tenant. Note: The rent commencement date is usually tied to the landlord’s substantial completion of work. This is typically defined as the time when a space can be used by the tenant for the purposes permitted in the commercial lease agreement and/or when a Certificate of Occupancy has been issued. Commercial property landlords will almost always require the tenant to get their permission for any alterations during the term of the lease. Additionally, the landlord may require the tenant to use an approved list of contractors, obtain permits and approvals, buy additional insurance and update to Certificate of Occupancy if applicable. Furthermore, structural alterations are almost always out of the question. If tenants know in advance that they will need to make alterations beyond the initial build-out, they should try to obtain landlord approval as part of the lease negotiations. The initial alterations and build-out should be incorporated into the lease to avoid any delays. Furthermore, tenants should negotiate into the lease that the landlord’s approval won’t be required for decorative alterations or structure a threshold below which approval isn’t required. Note: Who owns the alterations and fixtures? Generally speaking, tenants typically can walk away with any trade fixtures they paid for. However, many leases state that the landlord has final authority on which fixtures and alterations can stay and which must be removed. This way, landlords have ultimate option value as new fixtures and improvements are being made to pick and choose what stays and what must go. Needless to say, removing fixtures and undoing alterations at the end of a lease term can be very costly for the tenant. Unlike residential leases, there are no statutory protections for tenants if they wish to sublease or assign their lease to someone else. As a result, it’s very important for commercial tenants to negotiate specific rights to sublease the space or to assign the lease to someone else. This will be very important if the lease no longer makes financial sense, their business declines in revenue, or if a merger or acquisition is contemplated. Note: New York Real Property Law §226-b says that residential tenants shall be released from a lease if the landlord withholds reasonable consent to assignment. The law also says that a landlord cannot unreasonably withhold consent to a residential tenant’s sublet request. The law overrides a residential lease’s terms but there are exceptions for public housing, non-profits, rent controlled units etc. On the other hand, landlords will want to limit a commercial tenant’s ability to sublet or assign the lease primarily because the landlord does not want the tenant to be competing on term, especially if the landlord has other units being marketed for rent. A landlord may require a tenant to use the landlord’s managing agent as a broker in any transaction. A landlord may also ask for additional security deposit or a fixed rent increase if there is an assignment. An assignment of a commercial lease agreement is the entire transfer of a tenant’s interest in the lease for the remaining term of the lease. In other words, the new tenant or assignee replaces the existing tenant or assignor entirely. The new tenant will have a direct, contractual relationship with the landlord and assumes the rights and obligations of the existing tenant under the original commercial lease agreement. It’s interesting to note however that most commercial leases will still hold the assignor liable even after the lease has been assigned. As a result, it’s important for tenants to negotiate the ability to get a full release upon assignment. Most lease agreements will prohibit assignments or stipulate that the landlord’s approval is required. Tenants can negotiate the language to stipulate that the landlord must not unreasonably withhold consent to an assignment, perhaps subject to certain conditions that must be satisfied. Landlord lease agreements will typically have language that classify the transfer of membership interests or shares as an assignment, meaning that any merger or acquisition would be prohibited or need approval. Lastly, lease agreements may contain language requiring a tenant to share in the financial upside of any lease assignment. For example, if a tenant is able to assign the lease for $10,000 more per month than the tenant is currently paying, the landlord will typically have language that enforces profit sharing. 50% of the upside is a typical arrangement in commercial lease assignments. A sublease involves the transfer of all or only part of a property being leased by a tenant. A sublease must end at least one day before the expiration of the main lease. This is because the sublease is essentially a lease within a lease. In fact, there isn’t a contract between the subtenant and the landlord. The sublease agreement is between the tenant and the subtenant and it can vary substantially from the primary lease agreement. The subtenant is liable to the tenant who is in turn liable to the landlord. Subleasing will almost always be subject to the landlord’s approval. Consent can be withheld by the landlord for any reason unless the lease has been negotiated otherwise. A commercial tenant should negotiate in the lease that the landlord will not unreasonably deny a sublease request. In case you’re wondering, there actually isn’t a definition of what constitutes reasonable and what constitutes unreasonable as such definitions could invite lawsuits. However, the industry generally understands reasonable to mean what a reasonably prudent would do in a situation. If a tenant is able to negotiate subleasing terms into a commercial lease, the tenant should specify what conditions need to be satisfied for landlord approval. Examples include the sublessee being financially sound and creditworthy, the proposed use, lack of competition vs other tenants, experience and the tenant not being in default. It should be negotiated that if the tenant and subtenant satisfy the proposed conditions, then the landlord must approve the sublease. If a lease is terminated, any sublease associated with the underlying lease would also be terminated. To mitigate the risk of the main tenant defaulting, a subtenant can enter into an agreement with the landlord allowing the landlord to enforce the lease terms directly against the subtenant. This can be beneficial to both parties as these agreements typically stipulate that the landlord will not disturb the subtenant’s occupancy so long as the subtenant performs the obligations of the tenant. As is the case with assignments, lease agreements will typically have language that requires the tenant to share any financial upside on a sublease with the landlord. Note: Commercial leases will often have recapture provisions where the landlord will have a right to take back the space, in part or in whole, if the tenant requests to sublet 50% or more of the leased space. This works like a right of first refusal, and a landlord can take back the space at the same terms as the proposed sublet. If this happens, the lease would be modified or terminated depending on whether part or all of the space is recaptured and the tenant’s rent would decrease proportionally. A commercial lease should specify and describe the signage, awnings or building directory listing that will be permitted or provided. If you have a specific sign that you want to use, it’s best to include the initial design as part of the lease agreement. Similar to alteration requests during the life of the lease, any changes to signage down the road will be subject to certain restrictions and requirements. For example, a building might have restrictions on the level of illumination, or signs on the building must be in tune with the building’s quality or character. Utilities for a commercial tenant can be billed either directly, via a sub-meter or through inclusion rent. Older buildings may have only one meter in the basement; however, newer buildings will typically have a sub-meter on each floor or even a sub-meter for each partitioned office space on a floor. The inclusion rent method involves an assessment by an engineer of how much electricity is being used. The engineer will base his or her estimate on many factors including what equipment is being used by the tenant and the hours of operation. A commercial lease should specify who is responsible for installation and maintenance. For example, if a tenant is responsible for the HVAC systems, the landlord may require the tenant to maintain a service contract with a contractor approved by the landlord. If the landlord is responsible on the other hand, the lease may require the tenant to reimburse the landlord for their proportionate share of the maintenance contract expense. If the landlord provides air conditioning, the lease may specify a certain period of the day when air conditioning may be used. If the tenant wishes to have air conditioning outside of those agreed upon hours, the tenant will be billed for the additional use. Alternatively, the tenant could be entirely responsible for installing and maintaining their own air conditioning systems. Other services typically described in a lease agreement include cleaning, garbage removal, front desk and security services. Real Property Law § 227 protects both residential and commercial tenants in the event that a building is destroyed or otherwise made inhabitable. If this happens without fault from the tenant, then the tenant can surrender the premises and effectively cancel the lease. Commercial leases will generally specify that a tenant is not responsible for paying rent on the space that is rendered unusable or destroyed. If the entire space is destroyed or inaccessible, then the entire rent amount is abated. Most commercial lease agreements will specify that if a space is completely destroyed or rendered unusable and the landlord doesn’t remedy the situation within a specific period of time or if this occurred during the last two years of the lease term, the tenant may terminate the lease as of the date of the event. The demolition clause in a commercial lease agreement allows a landlord to terminate a lease early if they decide to demolish or otherwise change the use of a building. The landlord will typically be required to provide certain advance notice to the tenant and provide a rent credit or other incentive. Tenants should obviously try to negotiate this clause to limit the landlord’s right to do so and to push for greater compensation if such an event does occur. The relocation clause allows a commercial landlord to move a tenant to a comparable space elsewhere in the building. This can be useful for landlords who wish to consolidate space for certain tenants, or to group certain tenants on certain floors. Tenants should negotiate this clause so that they are fairly compensated for disruptions to their business. For example, tenants should ask for the new space to be of equal or greater size, on the same or a higher floor within the building. Tenants should ask for the landlord to build-out the space and moving and re-installing the tenant’s fixtures and other improvements. The rent should be abated completely during this process and the lease term should be extended as well to cover the duration of this process. Guarantees in commercial leases are similar in concept to guarantees you see in residential leases. A guarantee allows the landlord to pursue the guarantor without having to first pursue action against the tenant. Keep in mind that for most small businesses, the guarantor is typically the shareholder or owner of the business entity that is the tenant. In effect, a guarantee in commercial real estate is a personal guarantee because most small businesses do not have substantial assets for the landlord to go after. With that said, a Good Guy Guarantee can be rather beneficial for both parties. A Good Guy Guarantee typically allows a tenant to vacate the property early if the tenant’s business fails or due to some other unforeseen circumstance. The tenant must give advance notice to the landlord and leave the premises in broom swept condition on the surrender date. If the tenant does this, then he is a “good guy” and the landlord will not go after the guarantor (i.e. the tenant’s personal assets) for any remaining rent after the surrender date. The landlord would of course still be able to go after anything left in the tenant’s business to recoup unpaid rent prior to the surrender date. This arrangement also works well for the landlord because the landlord will have advance notice of the vacancy and will be able to immediately list the property for rent. Furthermore, the landlord will have the property delivered vacant and clean on a specified date instead of having to go through a messy and lengthy eviction process. A Good Guy Guarantee also allows a landlord to take legal action against a “bad guy” personally who stops paying rent and refuses to vacate the property, assuming the owner or shareholder is also the guarantor. A Good Guy Guarantee in commercial real estate typically requires the tenant to give 3 months of advance notice prior to the surrender date. Some Good Guy Guarantees may require rent payments after the surrender date as well. Some commercial leases may not allow a surrender at all until a specified period of time, for example after two years. Tenants should push for language that allows the guarantor to be fully released when a lease is assigned and a replacement guarantor is found. It’s important to think of everything and get a commercial lease agreement signed that works for everybody in the long run. That’s because once a lease agreement is signed, all parties have to live with the results for many years. Any amendments will require the approval of both parties and may require a substantial monetary inducement. Additional provisions in your typical commercial lease agreement worth mentioning include provisions for insurance, indemnification, condemnation, licensing and permits. The requirement to maintain adequate insurance and indemnification language is fairly standard across many agreement types. Condemnation refers to the government’s power of eminent domain, essentially when the government seizes private property. Licensing and permit language will appear depending on the business that the tenant is in. For example, the commercial lease agreement may dictate whether a restaurant or bar must get a liquor license.